Warning: this is not one of those happy, praising nail polish post. 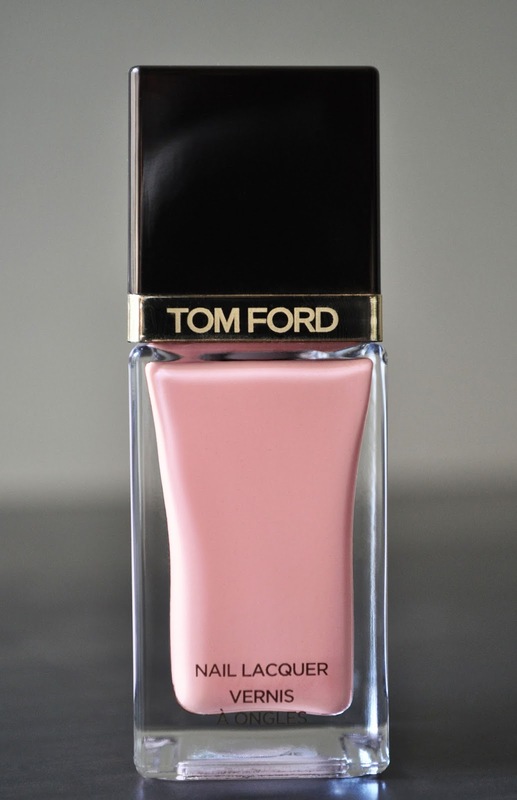 As a matter of fact, this post is anything but favorable for Tom Ford's Nail Lacquer, Show Me The Pink. Show Me The Pink is right! Even the name forebodes the farce that is this polish. 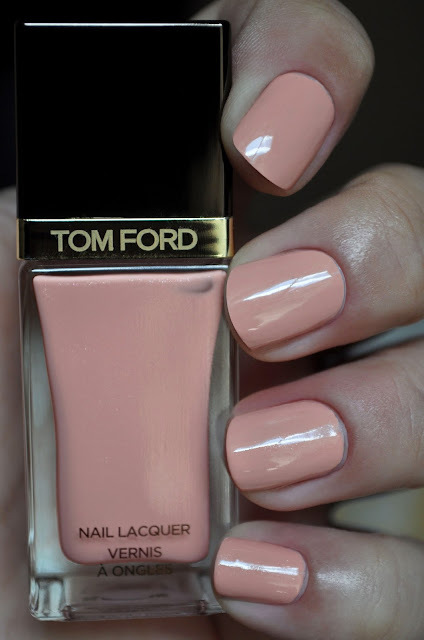 In the bottle, Show Me The Pink is a warm, milky, nudish- pink loaded with silver shimmer; but on the nails its a warm, milky, pinkish peach with silver shimmers, that would rather sparkle in the bottle than on the nails. I can deal with the shade difference from bottle to nails, but what I can't accept is a horrible formula from a 3,996 yen nail lacquer. Show Me The Pink's formula is thick and a little goopy; thus, making the application problematic, and troublesome, with streaks and unevenness...even after three carefully applied coats, I can still see some unevenness. Whenever I wear Show Me The Pink, I'm always put off by the troublesome application that I haven't bothered to take account of when I begin to experience any chipping; maybe after the third day? I'm not sure who I loath more: the horror that is Tom Ford's Show Me The Pink Nail Lacquer, or myself for purchasing it! If this polish hadn't cost so much, I would throw it away. The color is nice, but the formula and application is dreadful! Congratulations for the honest review, although it is not the first time, as far I can remember! Many beauty blogs are full of "excited, great, excellent, my H.G ". Their reviews are fake and I don't trust them anymore. Hope that you can return it. Hi Amalia, as I mentioned in a few comments above, I haven't been getting notification of comments on the blog. So, I'm sorry for the delay. I'm always 1001% honest in anything and everything, especially when it's related to the blog. Unfortunately, Japan's return policy is nonexistent. I would put it on a blog sale, but I can't ship polishes overseas. Therefore, I may post it on Yahoo auctions Japan or something. Thank you Helene! I would be great to keep in touch.